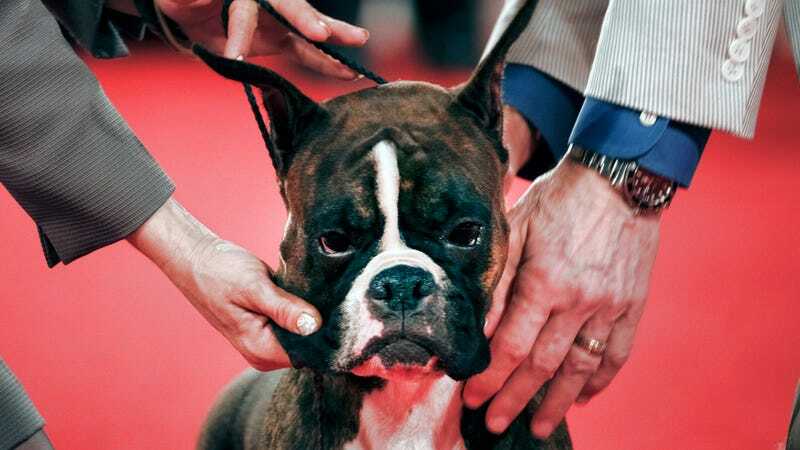 This week, the Westminster Kennel Club is hosting its popular annual dog show, where canines of all shapes and sizes get to strut their stuff in front of discerning judges. Seems like harmless fun, but many purebred dogs are, or soon will be, in poor physical health—the result of an emphasis on cosmetic, and not functional, physical characteristics. Humans and dogs have been intertwined in a symbiotic relationship that dates back some 15,000 years. Through these millennia, we’ve crafted them into all sorts of crazy configurations, forging them into what are now highly recognizable and popular breeds. But for many purebreds and their owners, the adherence to extreme breeding standards has resulted in misery, with pedigree dogs suffering from an array of physical and behavioral problems. Some breeds have even passed the point of no genetic return—but that doesn’t mean solutions to the problem don’t exist. We just have to change the culture around purebreds first. Health problems among purebred dogs is starting to become a recognized problem. In 2016, Americans spent $66.75 billion dollars on their pets, of which $16 billion—nearly a quarter of the cost—went to veterinary care. Some of the most costly procedures can run anywhere between $2,000 to $10,000, and it’s not uncommon for a dog to require at least one of these during its lifetime. Needless to say, many pet owners can’t manage this fiscal burden. There’s also the associated heartache of having to watch a beloved dog get sick, struggle with lingering health issues, and meet an untimely end. And then there’s the dog itself, who actually has to experience the discomfort and suffering. Much of the blame can, quite fairly, be directed at breeders, dog show (or pedigree) culture, and consumers themselves, who create demand for purebreds. There’s a commonly held belief that the winning breed at the Westminster show experiences an uptick in consumer popularity, but a 2004 study debunked this notion. Purebreds are popular among dog owners for their own sake, selecting breeds according to size, energy, personality, aesthetics, and many other factors. Owners then often expect their purebreds to be “true to form,” placing pressure on breeders to produce dogs with the requisite characteristics. Dog breeders tend to get a bad rap (and some most certainly deserve criticism), but high-quality breeders exist for a reason, ensuring that deleterious genetic aspects and personality flaws are weeded out. They also prepare puppies for their future homes and screen for potentially poor owners. That said, many breeds have health problems because we’ve crafted them into impossible shapes that wouldn’t be found in a state of nature; dogs are descended from a wolf-like ancestor, with most recognized breeds exhibiting only a superficial resemblance to their evolutionary forebears. What’s more, many of the dogs that we used to breed for work are now exclusively bred for their appearance. One of the most extreme cases is the English bulldog. This beloved breed has hit a genetic dead end, as noted in a 2016 study authored by UC Davis Veterinary Medicine scientist Niels Pedersen. Owing to a painfully small genetic base and the imposition of highly impractical physical characteristics, this dog suffers from a wide array of problems, ranging from hip dysplasia and breathing issues through to cancer and annoying cysts that grow between the toes (interdigital cysts). English bulldogs are also susceptible to infections, and it’s exceptionally difficult for them to stay cool—both conditions the result of a radically diminished nasal cavity. German shepherd dogs also have it bad. Research from last year suggests this breed is waning in popularity, a consequence of people wising up to the fact that German shepherds are now highly susceptible to illness. German shepherds are disproportionately prone to musculoskeletal disorders, arthritis, diarrhea, obesity, and behavioral problems. At least 63 percent of all German Shepherds had at least one disorder recorded in 2013. These dogs used to be bred for working roles—things like herding, policing, guarding, and guide-dog work—but the focus of breeders is now often on cosmetics and what’s desirable in the show ring. As a study published just last week demonstrated, some breeds are also experiencing neurological issues, which tend to be subtler and harder to detect. For pugs, this has translated to an abnormal gait, a problem exacerbated by skeletal deficiencies. Upwards of 30 percent of pug owners in Sweden say they’ve noticed direct or indirect signs of an abnormal gait in their dogs, such as the avoidance of certain surfaces like asphalt, difficulties jumping, and worn-down, bleeding nails on the front side of their paws, which is caused by the dragging of feet. More than a quarter of all pug deaths can be attributed to an abnormal gait, and it’s now the most common cause of death in the breed. Oh, and they’re also prone to an inherited brain disorder known as pug dog encephalitis. A similar story can be said about virtually every other purebreed. Siberian Huskies are prone to endocrine disorders (e.g. hypothyroidism), epilepsy, and retained testicles (a condition known as cryptorchidism). Cocker spaniels tend to suffer from a host of eye problems (glaucoma, cataracts, and cherry eye), along with heart disorders, knee and hip problems, and a propensity for allergies. And on and on and on. But Niels Pedersen, the author of the English bulldog study, says it isn’t accurate or fair to list breeds as being worse off than others, saying the breed that is “worst off” is the breed whose owners can least afford to keep them healthy. He says every breed has unique and shared health problems of a genetic basis, but the breeds with the greatest health problems tend to be the ones most altered from the “normal” canine physical form. This includes extremes in skeletal, facial, skin, eye, tail, and coat and pattern structure. But even dogs that are physically similar to so-called “Landrace/village dogs”—semi-wild, semi-socialized canines living in or near human settlements that can’t be pinned to a specific breed—still lack health. Many of these problems can be traced back to “unethical breeders,” which can mean different things to different people. The German Shepherd Dog Club of America describes unethical breeders as having poor knowledge about the breed and the associated breed standard, are ignorant of genetic defects, have no involvement in dog sports, don’t let buyers observe the puppies or adults, don’t screen potential buyers, and can’t provide documentation of health testing and or the pedigree. Pedersen, on the other hand, applies a far stricter definition. For breeders of purebred dogs, this presents an obvious challenge. Adherence to the specific physical standards that characterize a breed, and simultaneously having to ensure the lifelong health of the breed, are concepts often at odds. But some breeders and their overseeing associations are trying. Take the Goldendoodle Association of North America (GANA), which was established to protect the integrity of the goldendoodle breed, a cross between the golden retriever and the standard poodle. It’s proactively trying to avoid the mistakes made in other breeds. The GANA Board says that documentation of specific health testing is required for all breeding dogs registered with the organization, and only puppies produced from these health-tested dogs are granted registration privileges. By doing this, the foundation dogs of the goldendoodle breed are sound in structure, mind, and also health. Or at least in theory. Gizmodo reached out to the American Kennel Club for comment but did not receive a response. Breeders of cocker spaniels, a particularly disease-prone breed, are also tackling the problem. Knowing that some purist breeders will object to these seemingly restrictive injunctions, the ASCF says the the sheer number of inherited defects has reached such severe proportions that only “strict adherence to proven principles of genetic selection” will help to alleviate the problem. “By following these guidelines, increasing honest communications between breeders, and educating and guiding new breeders, we can reduce the incidence of these defects that threaten the future of the cocker spaniel,” writes the ASCF. Strict adherence to “proven principles of genetic selection” sounds all fine and well, but some breeders won’t like what that entails. She says prospective dog owners need to be aware that certain breeding practices are detrimental to the health and well-being of animals when deciding on which breed is right for them, their families, and their lifestyle. It’s also important to know where a dog—no matter the breed—comes from, said Goldrick. “[At the ASPCA] we tackle the issue on multiple fronts, including advocating for better regulation and standards of care for dogs in commercial breeding facilities at the federal, state, and local levels, as well on the ground efforts to rescue dogs from cruelty with our Field Investigations and Response team and through increased public awareness with our campaigns work,” said Goldrick. In cases of genetic bottlenecks and low diversity, the only viable answer is outcrossing—that is, bringing in the genes from other breeds. For example, English bulldogs could be mixed with the Olde English Bulldogge—a recently created American dog breed—to create a “continental bulldog.” For the purists, however, that’s sacreligious. In the absence of outcrossing, Pedersen says health and behavior could be improved from “reverse selection” using existing diversity. More physical and genetic diversity in a breed means that more ancient traits may exist among the totality of the breed. Though hidden in their genomes, these traits can often be rescued by careful and judicious reverse selection. So all is not lost—but it will require a culture change amongst breeders. The fixation on physical extremes needs to come to an end. 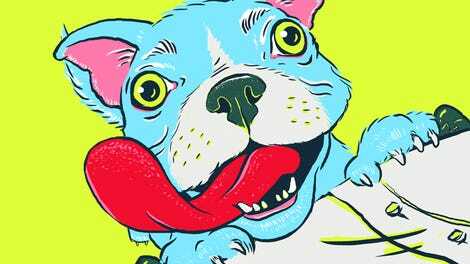 For better or worse, that could result in profound changes to breeds like pugs and bulldogs. But crafting companion animals in ways that are aesthetically pleasing to owners, but detrimental to dogs, is an idea that’s had its day.